Samsung has teamed up with Zscaler to launch a cloud-based security solution for the mobile enterprise market. The partnership combines Zscaler's security cloud with Samsung's Android-based security platform KNOX, which offers a suite of security features and apps. The dual integration means that Zscaler security and compliance policies can be moved to KNOX without affecting the user experience, while Samsung's security offering separates work and personal data, helping protect company information. "We are excited to partner with Samsung on our shared vision of Enterprise-Ready Mobile Security," said Jay Chaudhry, founder and CEO of Zscaler. "The deep integration between Samsung KNOX and the Zscaler security cloud enables users to have the same policy and protection on a mobile device and a PC. The collaboration, which is the result of ten months of joint development, will help accelerate the adoption of mobile devices in the Enterprise. The joint solution will be a game changer in the Industry." Samsung also announced a partnership with Citrix to provide the latter's security apps in the KNOX app store. Top of the list is Citrix XenMobile, an Android-based security solution designed for enterprise and government. It offers a slew of security controls, including role-based management, automatic policy privision, blacklisting and whitelisting of apps, the ability to detect and prevent against jailbroken devices, and complete or selective wiping of lost, stolen, or our of compliance devices. Other Citrix apps available now through Samsung KNOX include XenDesktop, XepApp, Receiver, ShareFile, GoToMeeting, GoToAssist, GoToMyPC, and Podio. The security solutions come as malware on mobile devices becomes a growing concern among business users, particulars with the rise of Bring Your Own Device policies. 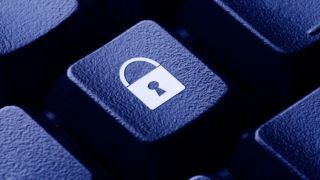 68 per cent of IT-controlled enterprises reported that this is their top security concern, according to a study by IDC.